After a shocking discovery, Bella is forced out of her rainy, northwestern home and takes up residence in sunny Jacksonville, Florida. While she expects her life with vampires is over, she is unknowingly moving deeper into supernatural waters. Banner provided by the awesomely amazing SoapyMayhem! Thanks to the amazing maimu[velvetkitten] for this awesome banner. 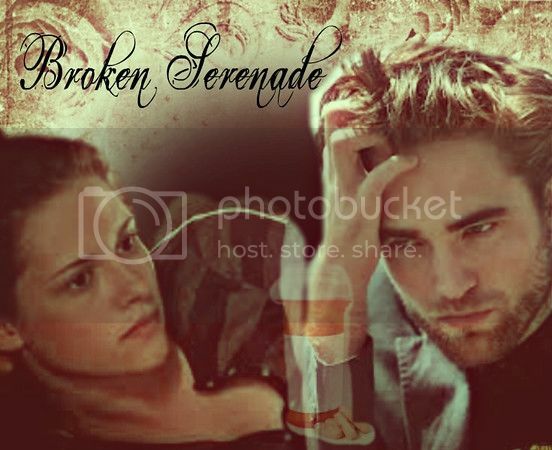 Can two broken people help each other mend? Maybe with the help of friends and family they can be just what the other needs. The horrific back stories of Mara and Emmett have left them hurt and afraid to open up to others, Will the instant attraction lead to happiness again? "I was thinking while I was running," I began, and then hesitated. "About not hitting the trees, I hope!" she interjected. I laughed, "Silly Bella, running is second nature to me, it's not something I have to think about." "Show off!" she muttered, again. "No," I smiled, "I was thinking there was something I wanted to try." Determined to take the next step in this stomach clenching adventure, I carefully cupped her face in my hands, and then paused, checking my responses, confirming I was still in control of all my hungers. She caught her breath in a gasp and held it, as I ever so gently touched her soft lips with my own. My eyes closed involuntarily at the wave of pure pleasure spreading through me from that point of contact. What if Bella and Carlisle discovered that they WERE bisexual and decided to explore their sexuality more? 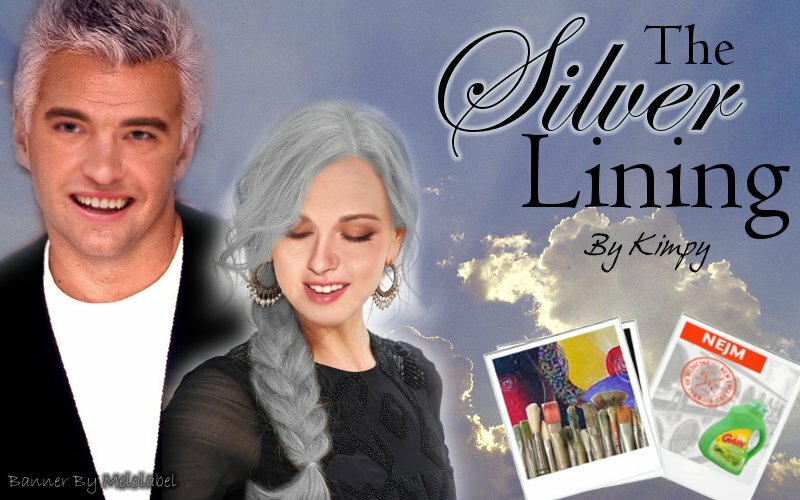 A story for those who wanted both slash and femslash in the original story and to those who are interested in reading this. Rated M for LEMONS, language, threesomes, foursomes, and possible orgies. Bella/Carlisle because they are the main pair. Romance/Humor/Friendship/Family. My name is Isabella Marie Swan. I am damaged. I didn't use to be. I used to be that girl who loved literature and music and romantic movies on the Hallmark channel. Now I just try to get through each day without hurting myself — or someone I love. It all started with a boy — isn't that always the case? After a life-changing event, Bella has left Forks to live with her mom and Phil in Florida. She's never expected to hear from him again, but when a letter arrives unexpectedly from Edward, it sends her life in a tail spin and forces her to face the demons of her past. This story contains the topic of suicide. *UPDATE! * To all my readers, I'm so sorry for the delay! (And thank you for reading!!!) I'm in my first trimester of pregnancy and I've been so, so, so sick. :( I'm still writing, the process is just much, much slower. I just wanted to let you know that I haven't let the story drop and I still fully intend to finish it. 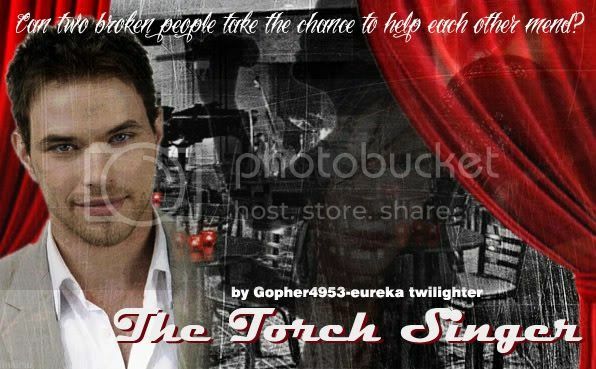 I also wanted to share a banner that DanceWithMeTonight made for the story! Yay! Go check it out! Leah was shocked to discover that the tribal stories she grew up listening to are a lot more realistic than she could ever imagine. Struck with the pain of losing her ex to imprinting and her father to a fatal heart attack, Leah struggles to hold on to the lingering wisps of happiness still remaining in her now desolate life. Embry Call, one of the wolf boys, is struggling to come to terms with his parentage; apart from knowing that his father was part of the Quileute tribe, he knows little else about the man who sired him. Will Embry ever find out who his father is, or will he be stuck in the dark until he takes matters into his own hands, or will his mother finally tell him the truth? Intense mating instincts take over and eventually drive the pair of troubled wolves together. But is it love, or just another legend that takes away their choices? 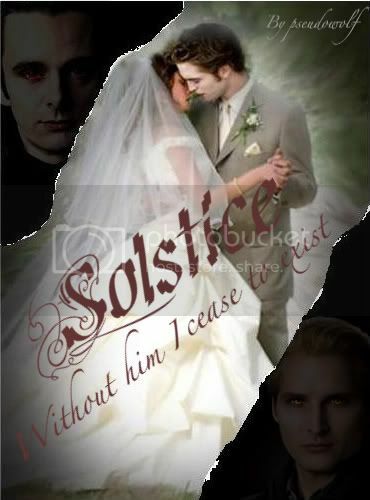 Summary: It is Edward's long awaited wedding night...will it be the best night of his existence? Candy, flowers and my immense gratitude to mkystich for the most awesome of banners!! And a special thanks to my personal IT guru shyguyunlimitd for help in posting. Bella and Edward are planning to marry but not all of the Cullens are happy about it. When the Volturi hear of the potential demise of such a strong coven, they swoop in looking for leftover trophies for Aro's collection. Canon pairings. Rated for lemons.